Online, with 4-day on-campus session per year. Program starts in January or June. See details below. Cost is per unit. 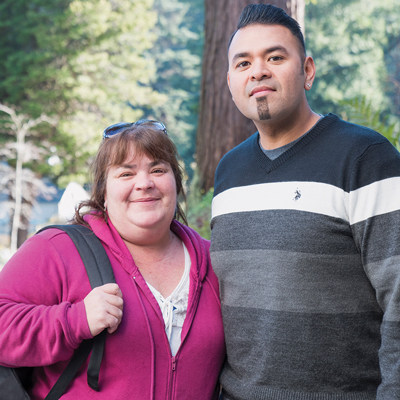 It doesn't matter where you live or work -- you can still earn your MSW from Humboldt State University. Courses are online and designed to support people who are rooted in their communities. Whether you want to advance in your current career, make a transition, or add a degree to amplify your voice and better serve the community you call home, our accessible program has an option to meet your needs. We offer an affordable tuition rate wherever you live and with program-specific financial assistance, over half of our students benefit from scholarships or stipends to support their studies. Apply to HSU via Cal State Apply by admissions deadline. Apply Aug. 1-31 to the 3½-year part-time program to start classes in January. Apply Oct. 1-Feb. 1 to the 2-year Advanced Standing part-time program to start classes and orientation in June if you already have your BASW/BSW from a CSWE accredited program. Visit campus for 4 days each January for orientation, community building and skill development. Live web sessions every Thursday night and weekly modules that you complete on your own schedule. Our program maintains an emphasis on working with Indigenous and rural communities and is designed to decolonize mainstream social work education practices. with you and your home community through professional internships. between the curriculum and your lived experiences. among students and faculty through intentionally-fostered online learning communities. Our program is rigorous and students should be able to visit campus as required, attend live web sessions weekly and dedicate at least 25 hours a week to this part-time program. The program is fully accredited by the Council on Social Work Education. Visit the Social Work website for complete admission requirements for the MSW program. For the MSW, you may meet the Native American Peoples of America course prerequisite by enrolling in SW 420, Decolonizing Social Work with Indigenous Communities (offered fall/spring semesters), and earning a grade of C or better in the class. Funding for this program is made possible through grants provided by the Mental Health Services Act, the Superior Region Mental Health Workforce, Education and Training Partnership and CalSWEC.